This past weekend, my husband and I went out to forage elderberries. We noticed that the berries seem to be ripening a little more quickly than last year, and wanted to get some before the birds did. 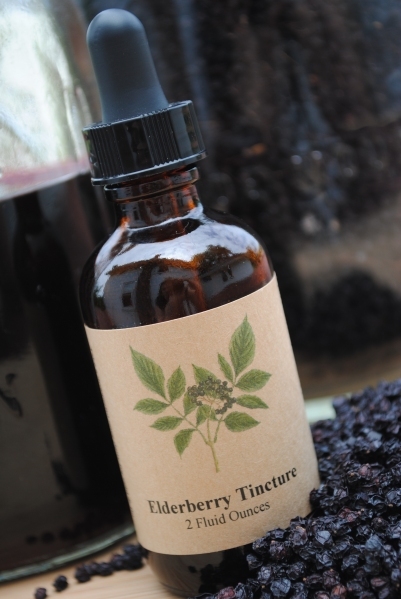 Last year I dried enough elderberries, and made enough tincture to supply a small army. The berries we picked this weekend went to my dad to make elderberry wine. I plan to pick some more this coming weekend which I will can as juice with honey, lemon juice, and a little ginger. Unfortunately, I’m not going to be able to tell you how the wine turns out for about 18 months. The process begins with primary fermentation and progresses to racking, fining, and bottling about 6 months later. Aging will take another year. While we were out picking elderberries, I grabbed some ripe Sumac berries so I could make some Sumac Lemonade at home. Now before you get alarmed, this is Staghorn Sumac (Rhus typhina) and not the much less common poison variety (Toxicodendron vernix or Rhus vernix). I’ve always been a bit mystified why there is so much confusion over poison sumac. The poison stuff has white berries, and doesn’t look a thing like true Sumacs which have red berries. Staghorn Sumac berries are covered in a layer of a sort of fuzzy red, waxy powder. When collecting the berries, the easiest way to know if they are ready is to rub the berries between your fingers and then lick your fingers. If the taste is sour you know they’re ready. This tartness comes from ascorbic acid (vitamin C). We haven’t had much rain this month, so the Sumac berries are in good shape. Rain will wash off the berries, taking the tart flavor with it. It’s also a good idea to choose clusters of berries that look relatively clean. It’s best not to rinse the berries before making the lemonade. Sumac berries are slightly diuretic and laxative, so don’t go hog wild and drink a whole pitcher of the lemonade, or you may be visiting the restroom frequently. However, if you’re having difficulty in that department, then a pitcher of the lemonade may be just the herbal remedy that you’ve been looking for. 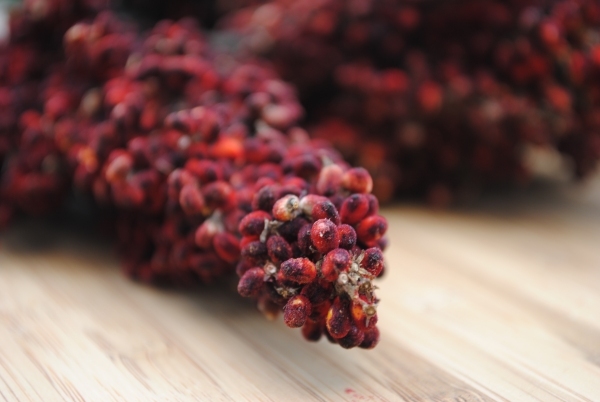 While we’re on the subject of herbal remedies, I though I would mention that Sumac has a long standing history of use in Native American and Appalachian folk medicine. To make the Sumac Lemonade I placed some of the berries in a bowl of cold water. I rubbed the berries a little bit, and then set the bowl aside for about an half hour to infuse. It’s important to use cold water. Boiling the berries will bring out tannins, resulting in a bitter unpleasant drink. Also, the longer you infuse the berries the stronger the flavor will be. After infusing the Sumac, I poured the resulting liquid through a coffee filter. I know some directions will call for straining through cheesecloth, but even with a coffee filter I still get a fine red sediment at the bottom of my container. If you look closely at the picture to the left, you will see a small amount of a fine red sediment in the bottom of the glass. 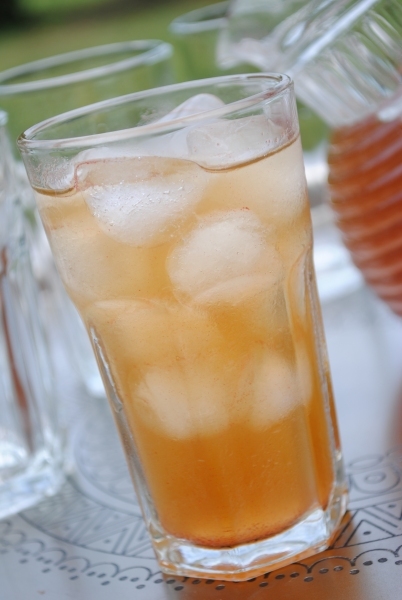 Sweeten the Sumac Lemonade to taste and enjoy!